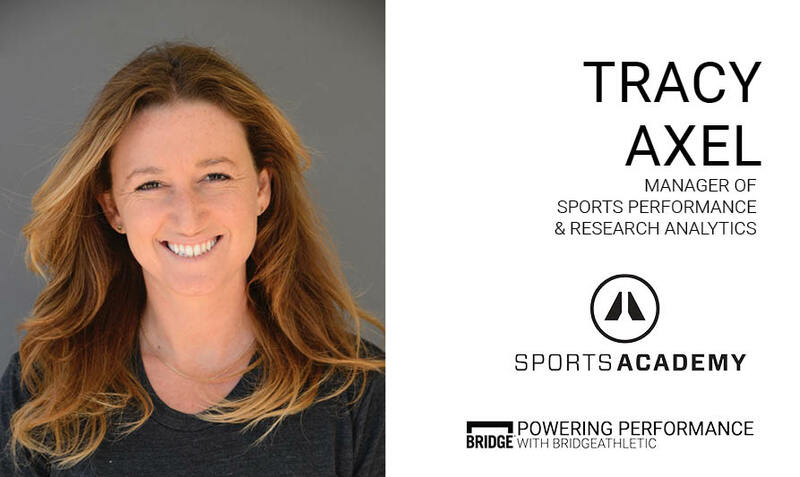 In this episode we caught up with Sports Academy’s Manager of Sports Performance Research & Analytics, Tracy Axel. Together with her team, Tracy has helped construct a premier training facility, bringing best-in-class technology to the changing world of performance. As a former dancer- turned surfer, Tracy is driven by her love of sports and a passion for creating the ideal environment for athletes of all ranges. From analyzing vertical jumps and deadlifts to monitoring nutrition and recovery- Tracy’s advanced methodology will help you evaluate your own training and how you might benefit from a camera or two in the weight room. 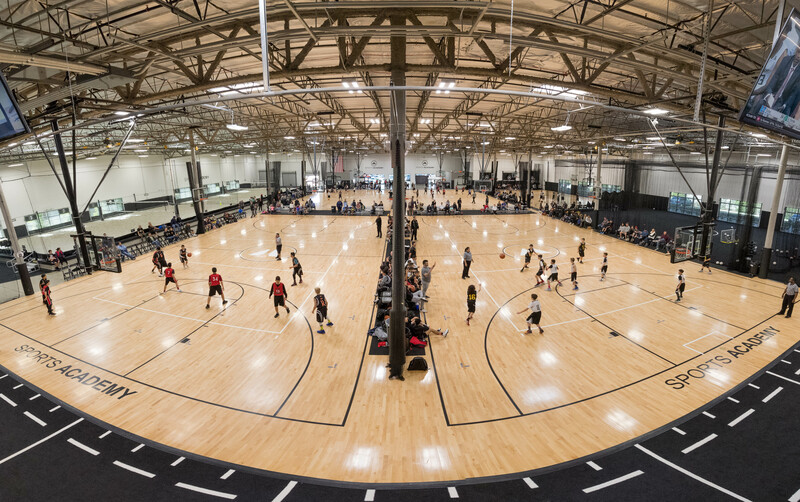 When you walk through the doors of Sport Academy, you feel like you’ve just stepped into the ideal playground for the likes of Serena or LeBron. Your mind is immediately focused and ready to perform. That’s the point. Tracy and her team consider every new member as an athlete- no matter how novice. That mission drives their staff to develop an impressive measurement and tracking system across all departments for every one of their various athletes. Tracy stresses the importance of team collaboration and communication. There’s never a case where one area of training is not considered or put aside. At the forefront of this communication is a robust tracking system that allows cross-department communication at the drop of a hat- or in this case a barbell. Tracy takes a focused approach to the metrics she and her team consider when evaluating both pro-level athletes and performance enthusiasts. Sure, if they’re athletes training for the next combine, the team is undoubtedly going to track performance across the combine’s key tests. However, she’ll also include a variety of additional resources and tools to help that athlete progress quickly and safely. While Tracy values new studies in the field, she doesn’t allow herself to get bogged down in Big Data. While she’s lucky to have access to an array of tools and resources to help pinpoint a variety of fascinating metrics, she suggests placing focus on the day-to-day drivers first. From subjective readiness questionnaires to nutritional evaluations, she’s dedicated to establishing a well-defined and highly adaptable tracking process that allows her and her team to flag concerns and track performance indicators, individualized for each and every athlete. While still a startup, this is what makes Sports Academy one of the leaders in athletic performance as they’re able to effectively tailor programs for every individual that walks through their doors. Sure, not everyone’s training for their next combine, but by creating an environment focused on performance at its highest level, Tracy and her team activate and inspire clients during their very first training session. From body composition screens, nutritional assessments and biomechanical evaluations every client is evaluated equally in order to determine the best path for success. With these pieces in play, Tracy works hard to make sure all teams communicate and track progress effectively and (most importantly in this startup culture) efficiently! A key to the organization’s success is developing a consistent methodology across their departments. Not only is everyone communicating, they’re also following a well established methodology to drive their mission of excellence. All of their athletes receive daily wellness questionnaires to teach them how to listen to their bodies and evaluate their readiness to train. Having athletes tracking these markers is just as, if not more, important than communicating them back to the team. Thanks again to Tracy and the entire Sports Academy team for choosing Bridge to help power their performance!